Published Aug 2012 by McFarland. 1st printing. By Tom Johnson. Though best known for its horror films, Hammer produced a wide variety of movies in many genres. The British studio was famous for its exciting stories and expert action, all on very small budgets and short shooting schedules. 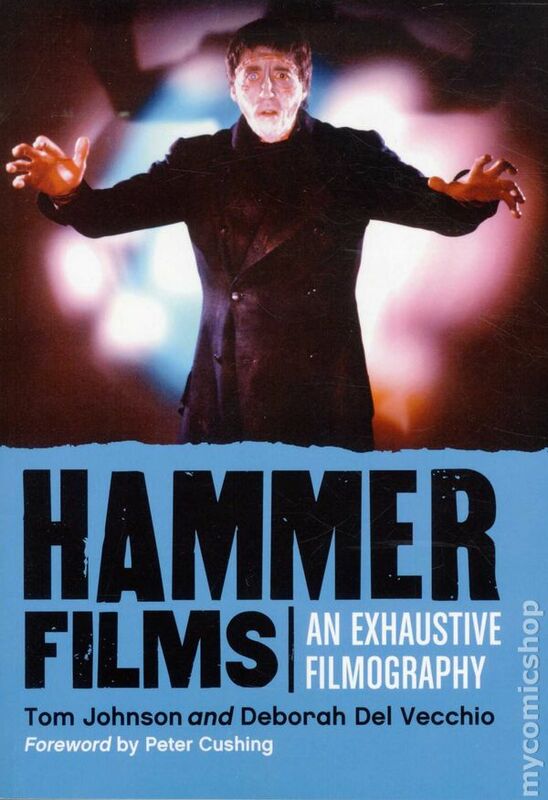 From The Public Life of Henry the Ninth (1935) to The Lady Vanishes (1978), this is the definitive work on Hammer's 165 films. Complete filmographic data are provided for each film, including release dates in both the United Kingdom and the United States, running time, length, distributor, complete cast and production credits, and alternate titles. Softcover, 422 pages, B&W. Cover price $25.00.